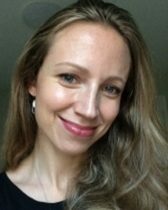 Dr. Zosia Krusberg joined the department in the Fall of 2016. Dr. Krusberg received her A.B. and S.M. degrees from Dartmouth College, and her M.S. and Ph.D. from the University of Chicago. Prior to joining Northwestern, she was the Helmsley Postdoctoral Teaching Scholar at Yale University. In addition to her Ph.D., Dr. Krusberg received her Ed.M. from Harvard University in 2006. She was a visiting assistant professor at Vassar College from 2011-2015.